Salisbury Plain is a large, open expanse of land in Wiltshire, England that covers around 300 square miles (775 square km). Besides being the largest training ground for the British Army, and is also home to one of the U.K.’s most famous sites — Stonehenge. But Salisbury Plain also bears many other ancient sites, including Barrow Clump, where the remains of ancient inhabitants were found recently. 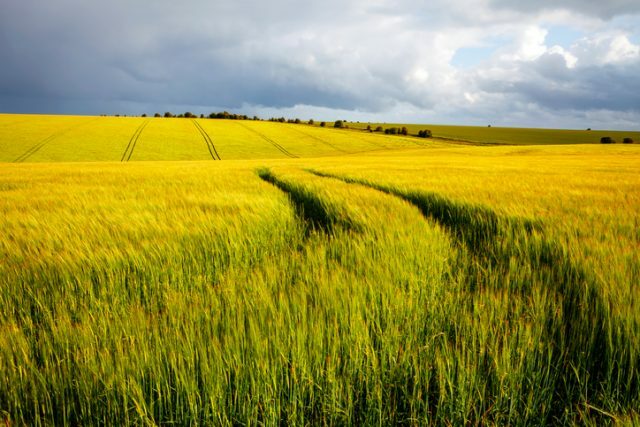 Salisbury plains on a stormy summers day, Wiltshire, England. About 3.5 miles from Amesbury, Barrow Clump is only one of what were once several barrows that made up what is called a bowl barrow. It was built in the Bronze Age but was later re-used as an Anglo-Saxon cemetery in the 6th century. Barrow Clump is the only surviving barrow, the others having long since been ploughed over. Recently, an archaeological dig was conducted in the area. 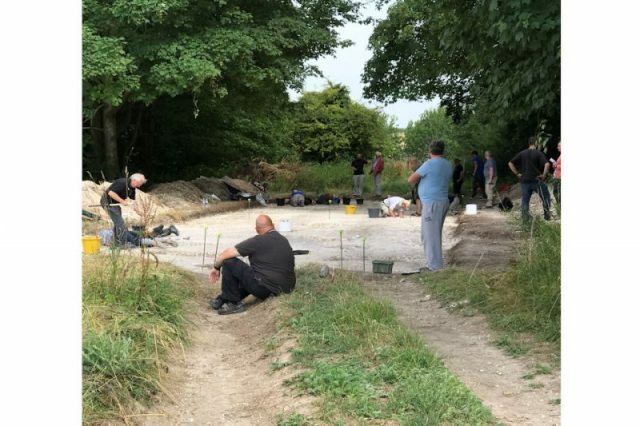 What makes this dig particularly interesting is that is was done as a part of Operation Nightingale – an initiative by the military that uses archaeology to assist in the recovery of service personnel who were injured in recent conflicts such as Afghanistan. Salisbury Plain is an important ecosystem, but also an incredibly significant historic site, and Wessex Archaeology has been working with the Defence Infrastructure Organization to protect it. One of the major threats to the archaeological remains on the plain is not necessarily military exercises, however; it is burrowing animals, of which there are many, especially badgers. This was the case at Barrow Clump, where the burrowing of these animals was bringing bones and grave items to the surface, and which would eventually lead to the destruction of the site altogether. 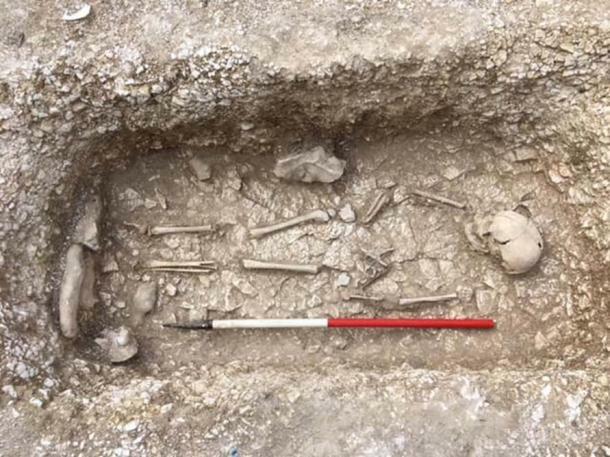 Wessex Archaeology was invited by the Defence Infrastructure Organization to oversee an excavation at the burial ground, the aim of which was to record and recover the Anglo-Saxon burials that were at risk, and investigate what Bronze Age burials were still there. 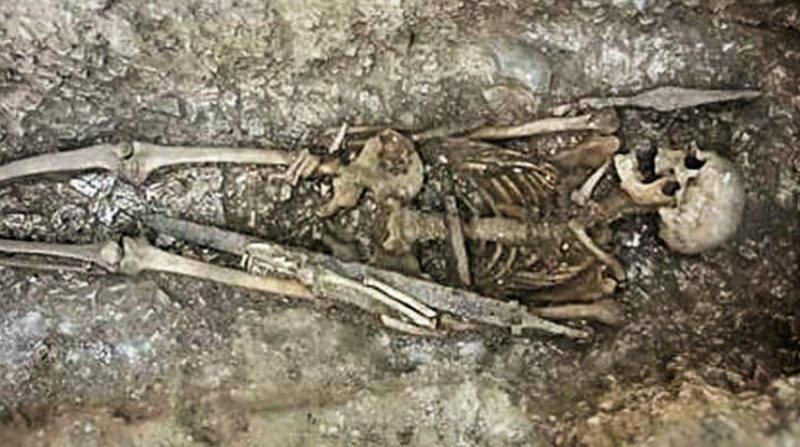 30 military personnel were involved in the dig, and 75 Anglo-Saxon graves were excavated – including that of an Anglo-Saxon warrior, found on the last day of excavation. It was evident immediately that the remains were those of a warrior. He was found with a spear by his side, and a sword in his arms, which was actually still in one piece and included traces of the wood and leather scabbard. 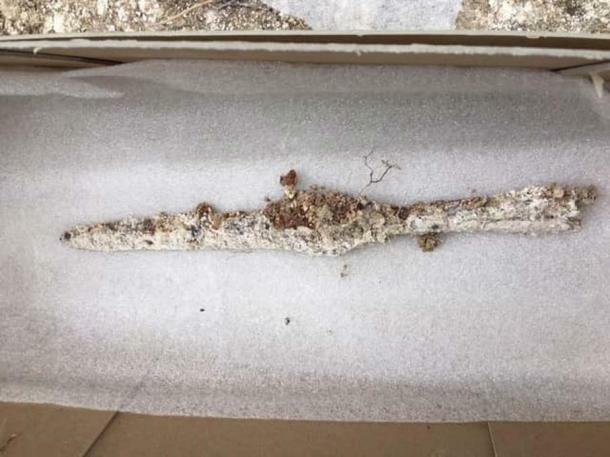 His possessions included a belt buckle, knife and tweezers, which were in a rather good condition despite having been underneath a military pathway. Also found with him were pattern-welded swords, which were indicative of the warrior once having a high status among his people. 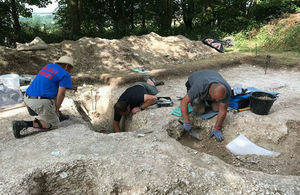 The warrior was found by using a metal detector for a final sweep of the site, and gave off an unusually strong signal. 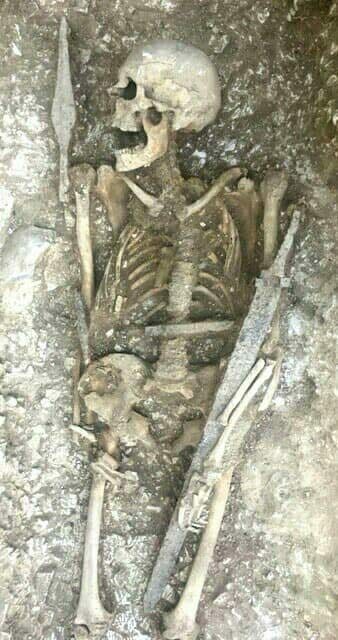 Together with the warrior, the excavation uncovered many other Saxon burials, including men, situated around the edges of the site, with women and children in the center. 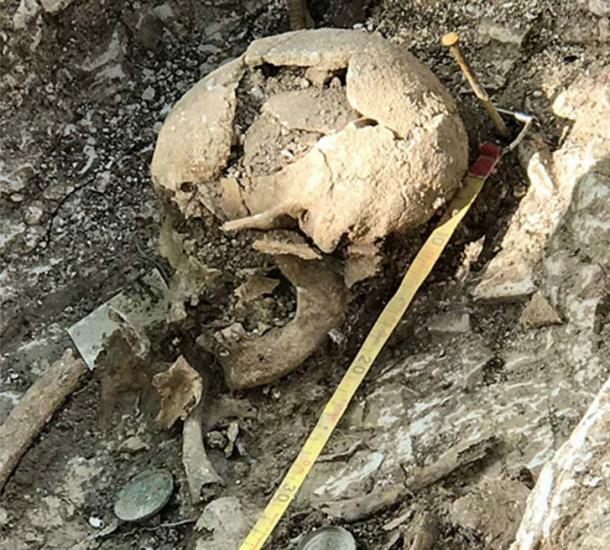 Grave goods were also recovered, including weaponry, jewelry and a large amber bead, buried with a young girl. One of the graves without any other items simply and poignantly contained the remains of a young boy, curled up as if sleeping.